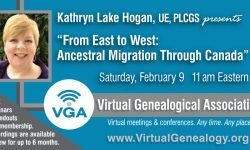 Virtual Genealogical Association – VGA – Any time. Any place. Any device. How did your family get from Europe to the Prairies? Why did your ancestors migrate through Canada? What clues can be found in records to track your ancestor’s migration? Why did so many Quebeckers leave the province during the 1800s? What was so appealing about the Prairie Provinces? 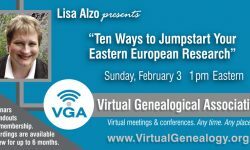 This presentation will show you how to “jumpstart your genealogy!” Learn the basics of how to investigate your family’s history using both traditional and online sources. 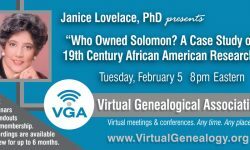 Discover which records to tap into to identify your ancestral village, and how history impacts genealogical research.